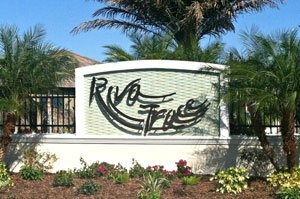 Riva Trace is a gated community off Honore Avenue adjoining the Braden River and offering gems of a find amongst Sarasota and Bradenton homes for sale. Developed on the northern fringe of the University Park Country Club, this community’s residences are amongst the newer builds in this University Park area. Their builder, Sarasota-based Medallion Home, built out Riva Trace in 2015, while the homes in the neighborhoods of the nearby golf community were constructed over a decade earlier. Like many of the available residences in University Park, which was cited by the National Association of Home Builders as “the best community design in America,” Riva Trace homes for sale exude privacy and exclusivity. This community consists of just 86 residences. These home sites are platted on opposite sides of the street, and their rear are adjacent either to greenbelt buffers or a water feature, thus avoiding lots to back up to each other. This setting aptly molds the lifestyle theme at Riva Trace which focuses on harmony with the pristine natural habitat of the Florida Gulf Coast. Along this vein, the community’s development follows the template of Eco-Gold specification of sustainable communities earlier developed in Southwest Florida. There is a large conservation area between the Riva Trace’s riverfront houses and the Braden River. This preserve is a refuge for deer, raccoons, bobcats, opossums, rabbits, and a wide variety of birds. Homeowners can relish this pristine environment in the riverside nature walks and observation deck in the property. A kayak launch for the community has also been built on the Braden River to enable residents to access this 21-mile waterway that meanders across nature preserves before merging with the Manatee River. Choice residences in Riva Trace are those that are directly on the banks of the Braden River. All of Medallion Home’s builds in Riva Trace feature tile roofs and paver brick driveways. The builder fielded in this community its Gold Series home designs acclaimed for their quality construction and energy-saving upgrades inside and outside each build. Choices of Riva Trace homes for sale typically range from selections on two- to four-bedroom builds with floor areas of between 1,650 square feet and 3,300 square feet. The pricing of these residences start from the high $200s and tops in the $600s. 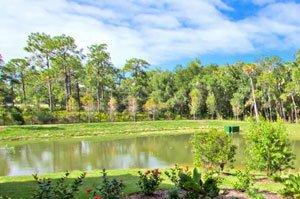 A deed-restricted and pet-friendly community, Riva Trace has no CDD fees. Its HOA fees cover costs of maintenance and upkeep of the neighborhood’s lawn, lakes, the landscaped community gate, and riverfront facilities. These fees are comparatively lower, as Medallion Home did not include a clubhouse and a community swimming in this development. Nevertheless, surprisingly affordable membership packages are available at the nearby semi-private University Park Golf Club. 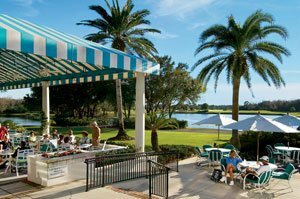 Besides its 27-hole course accessible also on a pay-per-play basis, this country club also features an expansive golf practice facility, 11 lighted tennis courts, a fitness center, and several venues for dining. The popular commercial hub of the University Parkway and its crown jewel Mall at University Town Center, plus the shops and restaurants at the Main Street of Lakewood Ranch, are likewise within convenient reach from Riva Trace. Its area is also served by several public schools including the Robert E. Willis Elementary and the Braden River Middle and High Schools. Below are the current real estate listings available at Riva Trace.